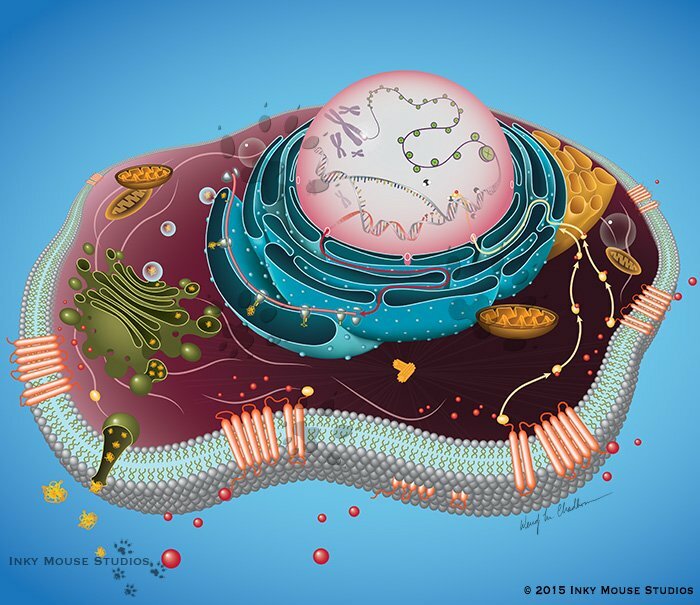 This scientific illustration of cellular anatomy was created for some large scale booth graphics for Cisbio, a biomedical reagent company, to draw visual attention in the busy environment of the 2015 Society for Laboratory Automation and Screening Conference. Cisbio was looking for very specific components and cellular processes to be included in the graphic that involved their products – specifically GPCR signaling pathways within the cell membrane. This was an interesting project because it involved quite a bit of higher level understanding of the cellular components and processes, while incorporating the corporate color scheme into the illustration, and all shown graphically without using any sort of labeling.